Tea for Two? More like for 900. New York may have Fashion Week to kick off the Fall social season, but in Houston, we have the Junior League Opening Day Style Show and luncheon. 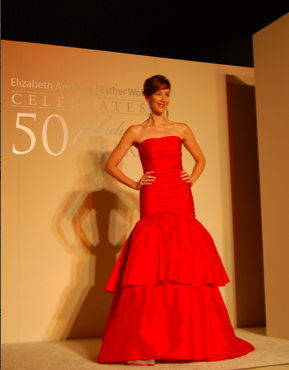 League volunteers served as models for the fabulous Elizabeth Anthony Esther Wolf Collection. It took two days, and three shows to actually accomidate the historic crowd of over 900 members and guests. Proceeds from this year’s event went to Dress for Success, The Children's Museum of Houston and Houston Area Women's Center. We love that. In the crowd were Special Events Chairman Kristi Krupala, Tea Room Director Shannon Beirne Wiesedeppe and League President, Catherine Nacol McCoin, longtime tea room member Betty Robertson, Roseann Rogers, and Lauren Levicki. The Junior League of Houston has been sponsoring style shows since 1929, with the Opening Style Show traditionally marking the beginning of a new League year with League volunteers modeling the latest in fashion trends. With historical attendance, over the three showings, often reaching or exceeding 900, this event continues to be a tradition with League members, Tea Room patron members and their guests.Speakers from the beneficiary organizations highlighted the League's impact on their outreach in the Houston community. Old Republic Title continued its support as a Tea Room corporate patron member by once again filling a table with guests, as did Betty Robertson, long-time Tea Room individual patron member, who has reserved a runway table for more than a dozen friends, for decades. Support of this and other League-sponsored events allows the Junior League of Houston to continue “Building A Better Community” through Community Assistance Grants, 37 Community Projects and other League-sponsored initiatives. The Junior League of Houston, Inc. is an organization of women committed to promoting voluntarism, developing the potential of women and improving communities through the effective action and leadership of trained volunteers. Its purpose is exclusively educational and charitable. 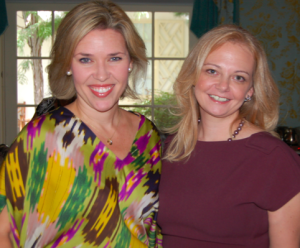 The Junior League of Houston, Inc. was founded in 1925 and the League’s more than 5000 members continue “Building A Better Community” and improving the lives of over one million people in Houston each year. For more information about The Junior League of Houston, call 713.622.4191, or visit their website at www.juniorleaguehouston.org.